For international students, an MBA offers the chance to meet other business professionals from all around the world, boost their network, and get a global view on business. Dayris Arias’ (pictured) ambitions were no different. Originally from Peru, she completed her undergraduate degree in economics at the prestigious University of the Pacific in Lima, and afterwards moved straight into a role as a business analyst with the third-largest airport management company in the country. The option to do an MBA had been one that Dayris had been thinking about since her undergraduate degree—“I always knew that an MBA was a good platform to have a really good, global view of a whole company and different industries,” she recalls. When an old friend from her undergraduate program told her about his experience at Cornell University's Samuel Curtis Johnson Graduate School of Management, she knew she’d found the right US school for her. Upon starting the Two-Year MBA at Cornell in August 2018, Dayris became part of a cohort of only 280 students, 27% of which are international. Compare this with Harvard’s class of 2020, who total a massive 930, Dayris says Cornell provides a more intimate learning experience. 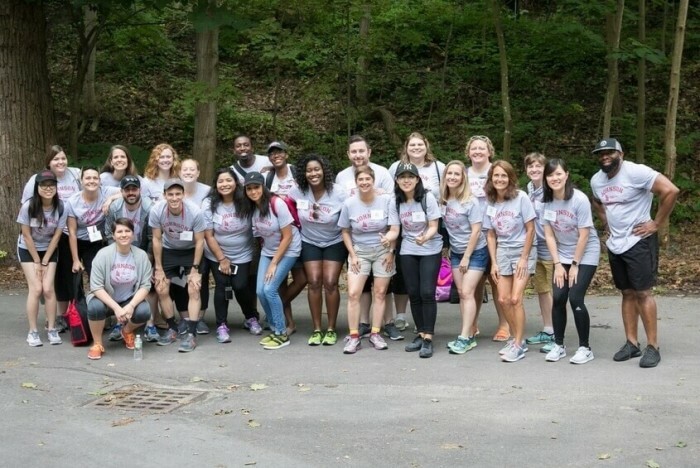 In fact, participants in the Two-Year MBA at Cornell start a month earlier than standard MBA programs so students can participate in the Johnson Outdoor Experience (JOE), an orientation retreat in the Finger Lakes in New York. The program also benefits from being situated in Ithaca, New York, a small college town with big city amenities. It’s no surprise that students welcome a little time off—Cornell is still an Ivy League school, after all, and the Two-Year MBA at Johnson was ranked the 10th best in the US in 2018 by Bloomberg Businessweek, ahead of institutions like Yale SOM and NYU Stern. Ultimately, Dayris is planning on using her MBA from Cornell Johnson to transition into consulting. While the recruitment process for consulting in the US is tough, Dayris says Cornell has been on-hand to assist her. Though Dayris is still in the early stages of her Two-Year MBA at Johnson, she’s certain she chose the right school.